US technology company Nvidia, valued at over US$100 billion, currently enjoys a formidable lead in the global AI chip race. But a rising Chinese startup, Cambricon Technologies, is hot on its tail. 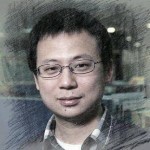 Cambricon Technologies co-founder Chen Yunji has said that the company aims to improve AI chip computing efficiency by 10,000 times and reduce chip power consumption 10,000-fold. Founder and CEO Chen Tianshi said in a speech that the company would corner 30% of China’s high-performance AI chip market and embed one billion devices worldwide with its chips within three years. The seemingly wild talk, backed up by the startup team’s impressive technological prowess and generous financing from investors like Alibaba, isn’t just castles in the sky. Cambricon Technologies is backed by the Chinese Academy of Sciences (CAS), one of China's most prestigious scientific research institutions. 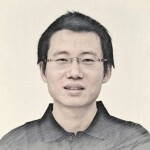 Talented brothers and co-founders Chen Tianshi and Chen Yunji are professors at CAS and experts in processor architecture and AI. All of Cambricon’s key team members have over eight years of experience in chip design and AI research and are graduates of China’s top research universities. 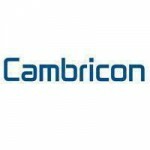 Proof that the company is not all talk, Cambricon Technologies has created a line of groundbreaking AI chips. In May 2018, Cambricon released its new MLU100 model. The AI chip supports cloud-based machine learning, including vision, audio and natural language processing under complex scenarios. The MLU100 makes Cambricon the first company in China - and one of only a few companies in the world - that owns intellectual property that supports both cloud and edge computing. The startup also unveiled the Cambricon-1M, a third-generation edge-based AI chip with a reported efficiency of 5 TOPS/Watt for 8-bit computing, making it the world’s first smart product that enables local machine training. Users can provide voice and vision inputs to any device locally without needing cloud connectivity, thus relieving many concerns about user privacy. 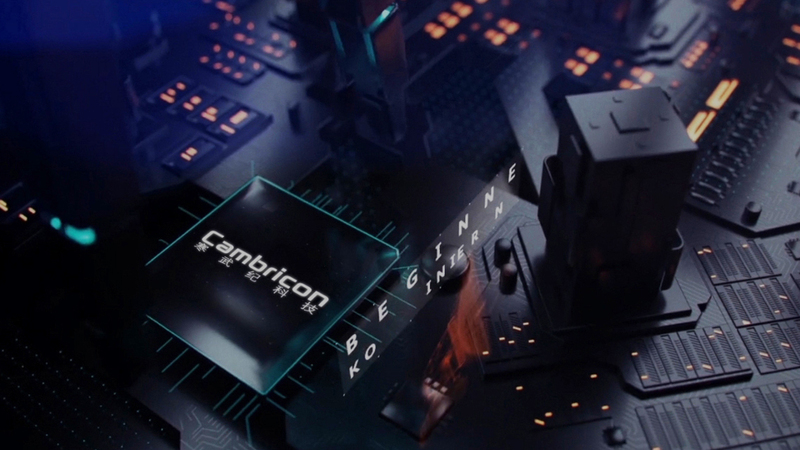 Before the release of the 1M, one of Cambricon’s most profitable products was the Cambricon-1A, the first deep learning processing chip successfully put into commercial use. Huawei, the third largest smartphone maker in the world, chose the 1A to develop the Kirin 970 chip that powers its flagship Mate 10 models. In addition to pursuing AI chip sovereignty, Cambricon also wants to make the latest technological developments available to everyone. To achieve this goal, Cambricon chose not to use general-purpose Graphic Processing Units (GPUs) like Nvidia. Instead, Cambricon employs Neural Processing Units (NPUs) to handle AI workloads and customizes Application-Specific Integrated Circuits (ASICs) for specific uses. The cost of the traditional GPU/CPU-powered chip is prohibitive for everyday use. The electricity needed to run a GPU/CPU-powered chip for a minute costs US$300, giving users enough time to play one very expensive game of online chess. The average power consumption of NPUs and ASICs is around one-tenth of mainstream CPUs and their average performance level is 100 times that of GPUs. Cambricon’s new products have been well received by several of its partners already, including Lenovo Group, Sugon Information Industry Co., Ltd. and iFlytek, all three of which have launched systems or products carrying Cambricon’s latest chips. We are likely about to witness an AI explosion. Those who have prepared ahead of time stand to gain a great deal. Cambricon has been waiting for the bomb to go off for some time now. Are you ready?